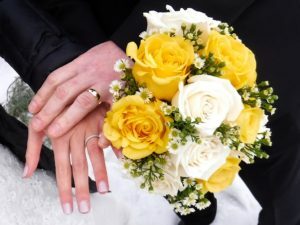 Yesterday, February 24th, 2018, was the wedding of Corey and Jodi, a couple who reached out recently with plans for a small, intimate service. Since we do remind couples they can have it however they like, this service had a custom twist. To begin, our Justice of the Peace Mike Cherim recited a poem called the “The Invitation” by Oriah Mountain Dreamer. And this was but one of two poems recited. The other was “I Can’t Promise You” by Bhal. These were beautiful additions to the words normally spoken, meaningful in their own right, and especially powerful to this couple and the handful of family in attendance. It was a wonderful touch. 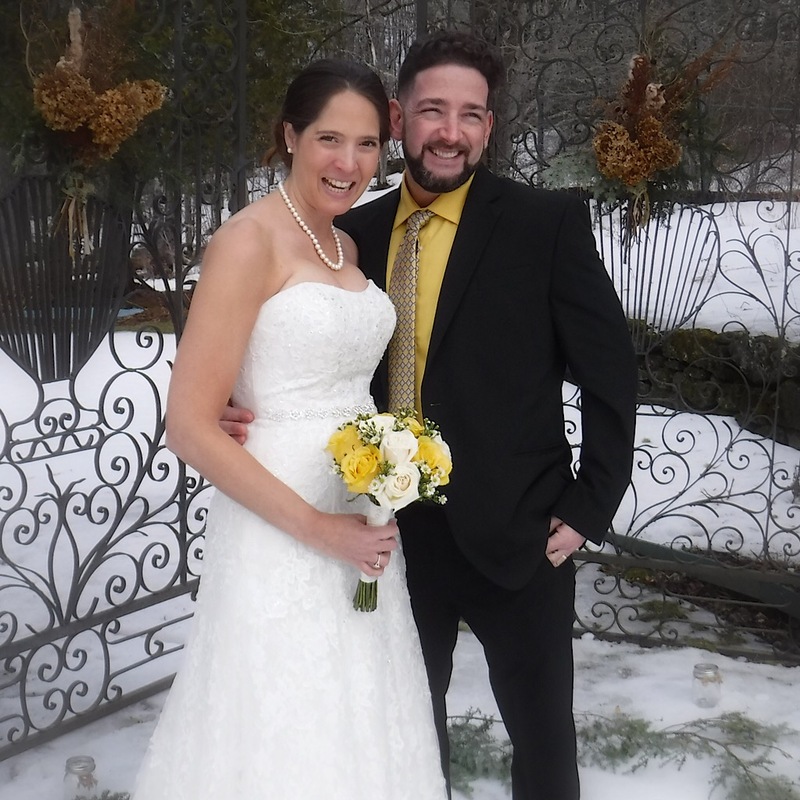 Initially the ceremony was to be held in Waterville Valley, but the plans changed and we ended up at the lovely Adair Country Inn located in Bethlehem, NH. By the sounds of it, the couple was delighted with the accommodations and all that their host and hostess had done for them. We saw some of this attention to detail in action as we watched Inn staff sweep the snow with fir boughs so there wouldn’t be footprints in their photos (the couple wanted to exchange their vows standing on snow). We didn’t take many photos, they had hired a pro on their own instead of using one of our folks as some do, but we did get a couple shots that we’re allowed to share here. Photos by Mike. Photographer capturing the groom waiting for his bride. 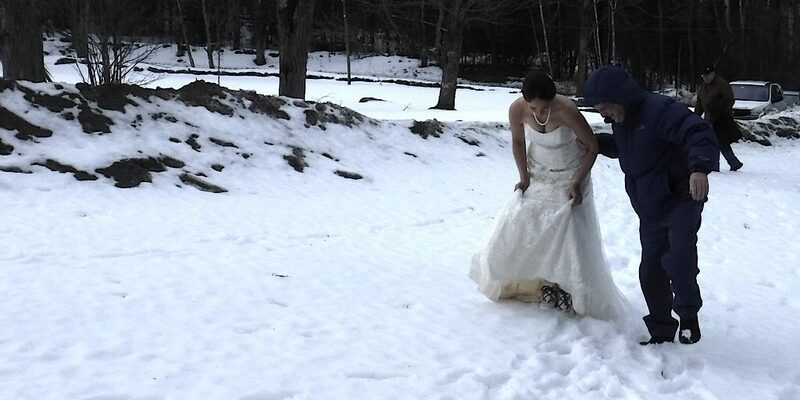 Here comes the bride, New Hampshire style. We love this. 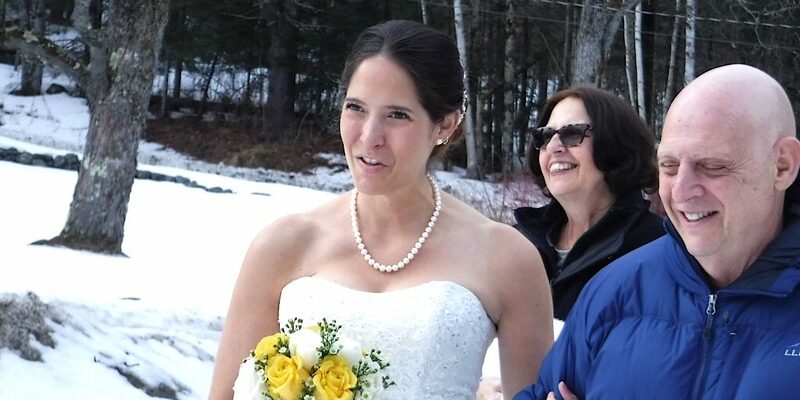 To the beautiful bride the cold air is a secondary sensation as she looks on towards her husband to be. The bride and groom, literally one minute after they were pronounced husband and wife.